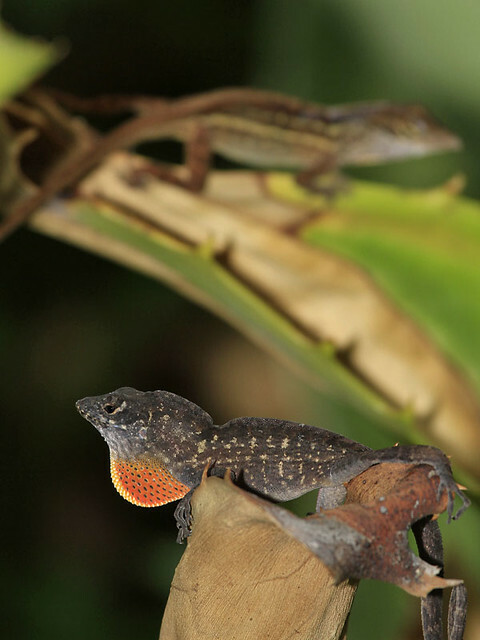 Brown Anole (Norops sagrei) is native to Cuba, the Bahamas, and some adjacent islands in the Caribbean. It was recently discovered in Gardens by the Bay in late 2012. It seemed to be established quite well at Gardens by the Bay. 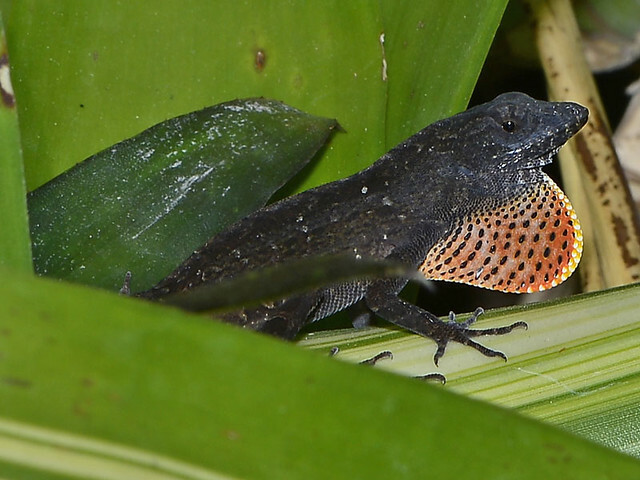 They can be easily spotted among the ornamental plants along the coast just outside Majestic Bay Seafood Restaurant. I was there on 3 occasions to photograph them and encountered at least 20 individuals during each visit. 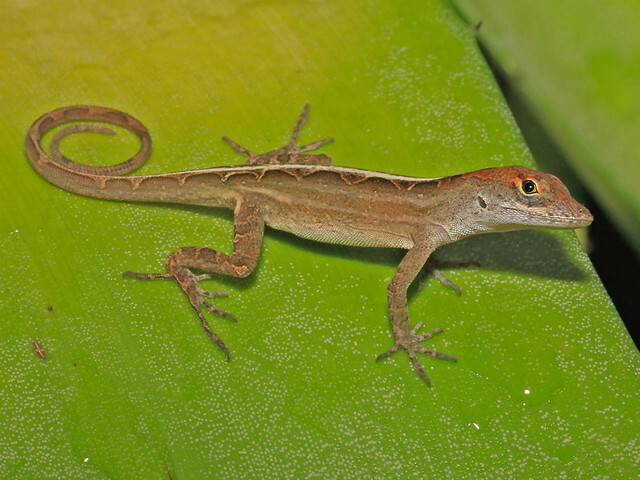 I must say brown anoles are quite entertaining to photograph especially the males as males are territorial and display their dewlaps (reddish throat fans) to show their dominance. There were several juvenile on the pavement too. While they can be quite photogenic subjects but their presence could threatened our native wildlife. 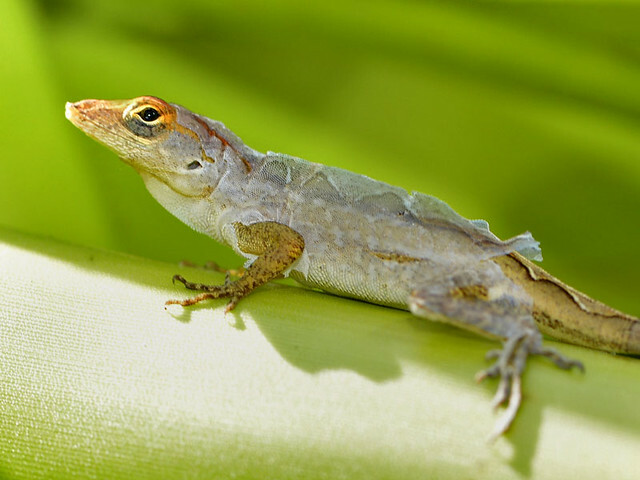 Brown anoles are largely insectivorous, feeding on flies, grasshoppers, caterpillars and moths. 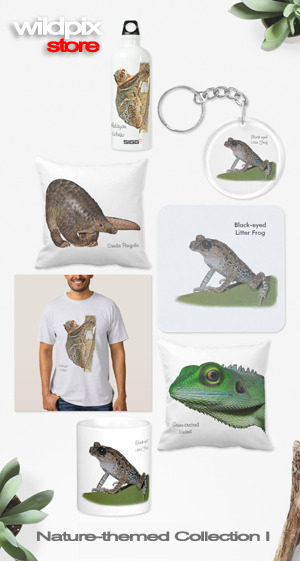 It is also known to feed on the young of smaller lizards. 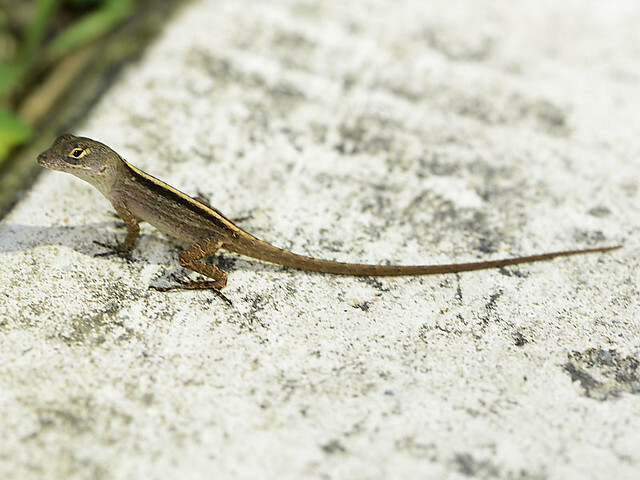 Let's hope the brown anoles will not be spread to other parts of Singapore! 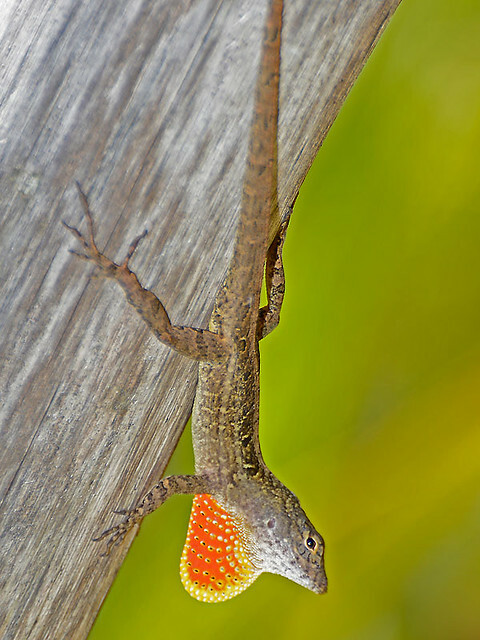 Recent Introduction of the Brown Anole.